In line with his avowed commitment to the rule of law and approved order of seniority in the appointment of Acting Chief Judge, Rivers State Governor, Nyesom Ezenwo Wike on Friday swore in Justice Adama Iye Iyayi -Lamikanra as the Acting Chief Judge of Rivers State. Justice Adama Iye Iyayi-Lamikanra, Acting Chief Judge of Rivers State is primarily an indigene of Etsako West Local Government Area of Edo State while her late husband hailed from Rivers State and the present husband, a Yoruba. Governor Wike insisted that the rule of law and respect for the laid down succession be followed in the appointment. This is the first it is happening in the country. Speaking during the swearing-in of the Rivers State reaffirmed his administration’s commitment to continue to accord women their rightful positions in government, no matter the circumstances. He said : “Nobody should talk about twenty five percent or thirty percent, the women appointed since my administration came into power, has covered up to 70 percent”. 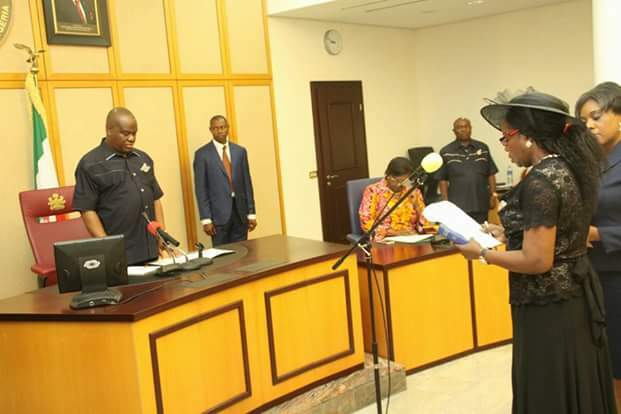 Governor Wike while congratulating the newly sworn in acting Chief Judge of Rivers State, Justice Iyayi-Lamikanra on her new office, charged the Acting Chief Judge of the State to consolidate on the legacies bequeathed of her predecessor. ”We thank God that the Judiciary is back, let the Acting Chief Judge continue from where her predecessor stopped. Your predecessor has done very well, I am very proud to say this. Do your best and at the end of the day people will commend you”, the governor said. Governor Wike further advised the newly sworn in Acting Chief Judge of Rivers State, Justice Iyayi-Lamikanra to dispense justice to the people without fear or favour. 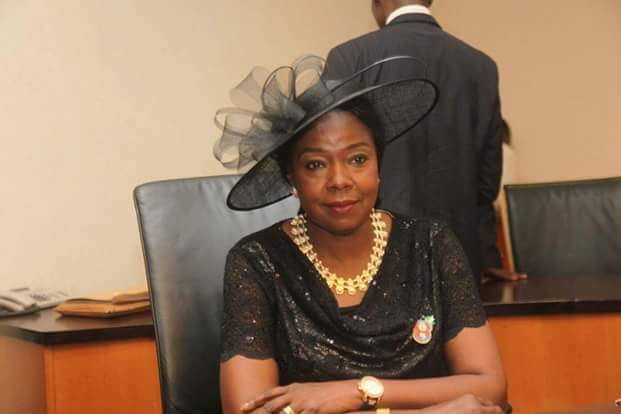 Responding, the newly sworn in Acting Chief Judge of Rivers State, Adama Iye Iyayi-Lamikanra while expressing thanks to the Governor of Rivers State for finding her worthy for appointment as the Acting Chief Judge of Rivers State, promised to dispense Justice at all times.